Of course, I had to try In N Out while I’m visiting LA! The most popular West Coast fast food joint that I’ve been dying to see what the hype was about. Even though In N Out seems to be a huge thing on the West Coast, there aren’t as many locations as I thought. Or perhaps they just aren’t on the way of the places that I was planning to visit. The location I went to was fairly busy (the line was out the door!) and small but the turnover rate for seats was pretty fast. I got the Cheeseburger and Animal Style Fries. I personally felt like it was overrated. I found the Animal Style Fries just to be okay, and the Animal Style sauce reminds me of McDonald’s Big Mac sauce. The Cheeseburger was just so-so as well, I couldn’t really taste much of the meat – perhaps I should have gotten the Double-Double Cheeseburger instead. I wasn’t that impressed while trying In N Out. Now I definitely want to try Shake Shack as people usually compare these two burger joints from the States. 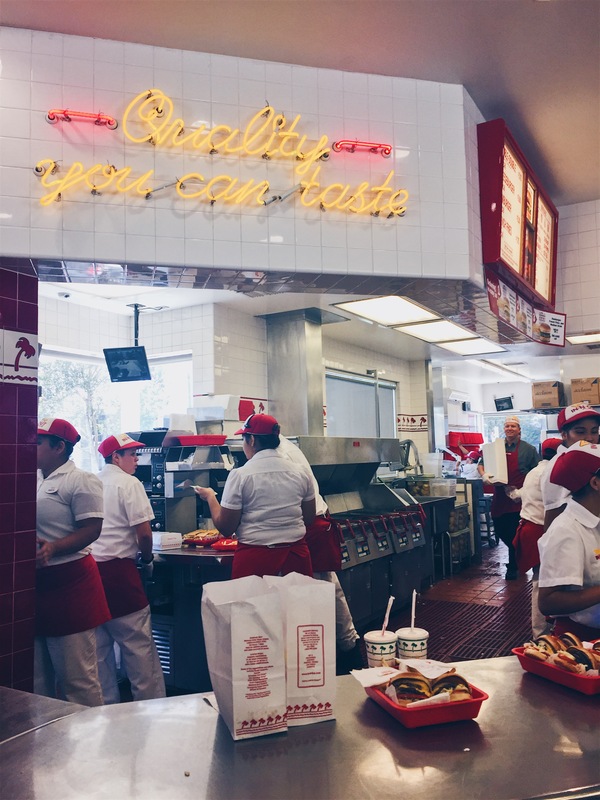 Have you tried In N Out and their Animal Style Fries? Let me know what you think!